Make a Contribution – Become a Friend! The Asa Wright Nature Centre is a Nonprofit Trust established for the protection of the land and wildlife for the enjoyment and benefit of all people of this and succeeding generations. The Centre’s revenue generated from its lodge and agricultural operations, along with contributions, help us purchase land and conduct school education programs and meet our other conservation objectives. The Asa Wright Nature Centre is a leading voice for environmental and cultural conservation in Trinidad & Tobago and throughout the wider Caribbean community. We welcome all financial support for the Centre and its programs in any amount! You can help us the most by making your generous contribution to the Friends of the Asa Wright Nature Centre. We also welcome and encourage you to make contributions to support specific programs and activities of the Centre. You can designate your support for education, research, land acquisition, or any of our special projects — it’s your choice. All donors will become Friends of the Asa Wright Nature Centre and will receive our monthly BELLBIRD Newsletter via email. 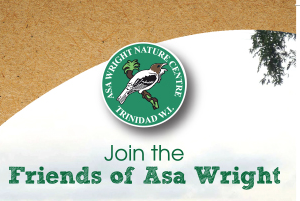 Citizens of Trinidad & Tobago can make donations directly to the Friends of the Asa Wright Nature Centre (Trinidad & Tobago) by check or by cash using our convenient donor form. Our online credit card payment system for Trinidad & Tobago will be available shortly, meanwhile please print out the Friends Membership form and either mail or bring it to the Centre along with your payment. 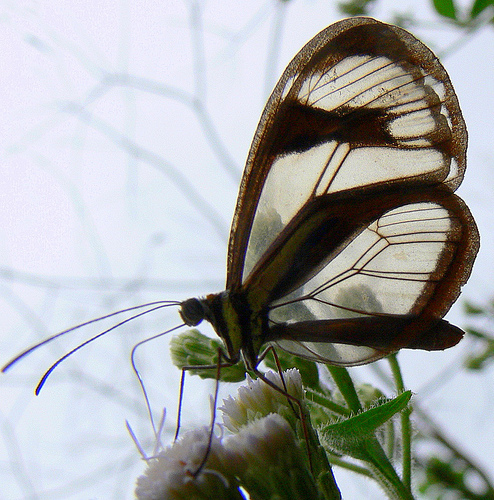 If you are from the United States and wish to make a tax-deductible contribution please visit The Friends of the Asa Wright Nature Centre Donation Page (United States) where you can help support our work with your gift by making an online credit card donation. You can also use this online credit card link for donations in other currencies: GBP, Canadian Dollar, and the Euro. Donations may also be made by check. Please mail your contribution, payable to the “Friends of the Asa Wright Nature Centre” to Secretary, FOAWNC, 2601 Burlington Ave N, Saint Petersburg, FL 33713.